Last week's report from a Pennsylvania grand jury accused the archbishop of Washington, Cardinal Donald Wuerl, for allegedly covering up their offenses during his service in Pittsburgh. Now, thousands are calling for his resignation online. WASHINGTON — Survivor hotlines in the D.C. area are being inundated with calls from new victims of priest sexual abuse. And now thousands are calling for the archbishop of Washington’s resignation. This follows a grand jury report out of Pennsylvania last week that named more than 300 so-called “predator priests” and criticized the archbishop of Washington, Cardinal Donald Wuerl, for allegedly covering up their offenses during his service in Pittsburgh. Now, thousands are calling for his resignation online. “We’ve been getting calls from new survivors who saw their perpetrators name in the report as well as just survivors who are reading the report and feeling sad and feeling like they need to talk with someone,” said Becky Ianni who leads the local chapter of Survivors Network for those Abused by Priests. A survivor of clergy abuse herself, Ianni said the Pennsylvania grand jury’s report shows the church cannot be trusted to protect children. She cited specific cases where Wuerl is named in the report that alleges he covered up known offenders. “It leaves a lot of confusion,” she said. “There’s a lot of distrust now. There’s a lot of anger especially here in the Washington, D.C., area, a lot of people want Cardinal Wuerl to step down,” she said. As of 4 p.m., more than 32,000 people had signed a Change.org petition calling for Wuerl’s removal. “We feel that the pope should demand that he should step down. I’m tired of the pope accepting resignations and not really stating why. Cardinal Wuerl has put innocent children in harm’s way so he needs to step down,” Ianni said. WTOP’s has attempted multiple times to reach the archbishop for a comment regarding the public calls for his resignation and have not received a response. 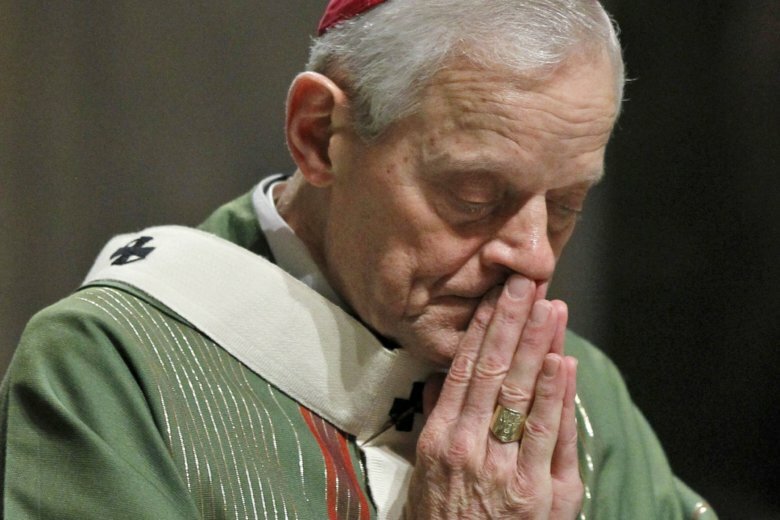 In an interview with WTOP prior to the report’s release, Wuerl said there had been “a dramatic drop” in abuse allegations.